In the last week a surveillance camera in a shop in central England captured a female ghost moving about. This video quickly went viral last Thursday after being placed on Facebook. Late last week on Tuesday night, Liam Woodgates saw something that startled him as he inspected his CCTV security system. 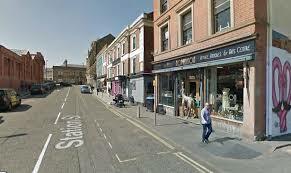 He thought it was an intruder in his store off Station Street. He then realized the apparent female figure was floating around. When he sent the footage to his general manager, Izzy Watts she at first thought it was a joke. She then became ill when she realized she was looking at a ghost. Woodgates’s shop, Hopkinson Vintage, Antiques and Art Centre, is named after the original owner of another shop in this space in the 1880s. 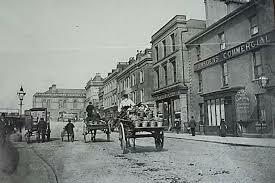 A Mr. and Mrs. Hopkinson both worked in H-Hopkinson Ltd., an industrial engineers merchant shop. Rack where ghost is seen. This video shows an outline of a female wandering around the present day shop. 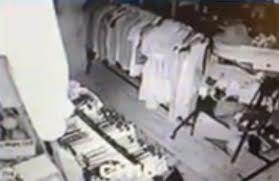 She appears to inspect a rack of vintage T-Shirts displayed on a rack and then she turns and disappears. The staff at the store think this female ghost might be Mrs. Hopkinson who once worked alongside her husband in this space. The following is a full screen version of what the surveillance video captured in this vintage clothes shop in Nottingham. This fort is located in Leavenworth, Kansas near Kansas City’s airport. 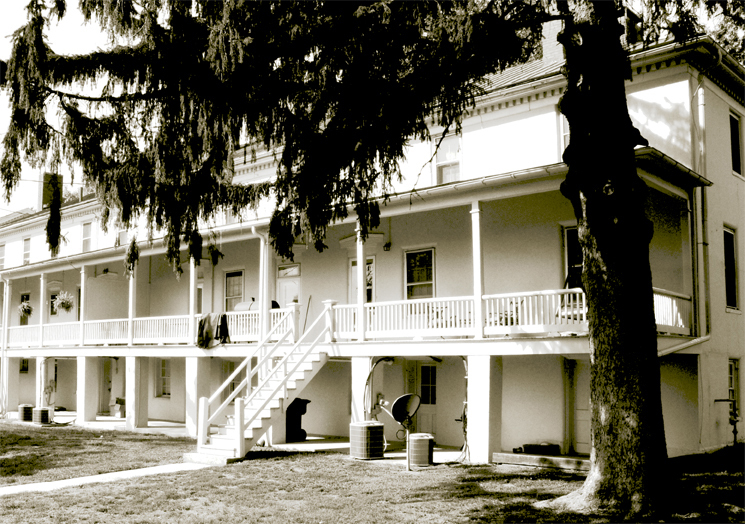 According to the military magazine Soldiers Fort Leavenworth is the Army’s most haunted base. This fort was built in 1827. It was first used to protect travelers along the Santa Fe Trail. 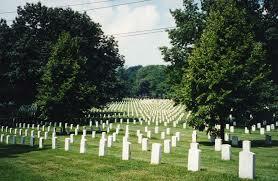 Its military units were involved in the Mexican-American war and the Indian wars. The famous Buffalo Soldiers originated at Fort Leavenworth. 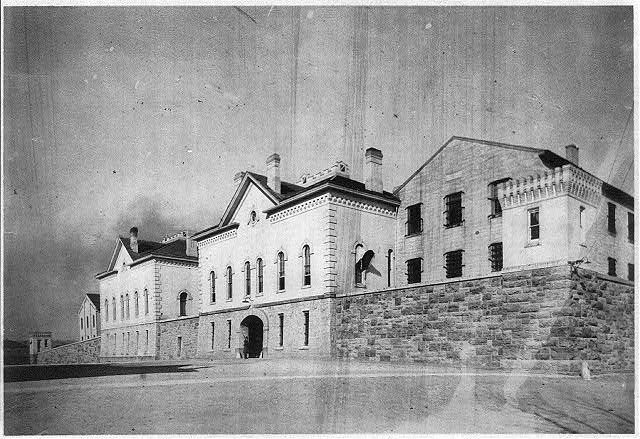 But the fort became known for its notorious military prison—the old Disciplinary Barracks. Parts of this prison were torn down in 2004 but several buildings still stand including the guard towers. A fort volunteer involved in haunted tours, Lessu Wojtkum states that almost every building on the base has a ghost story connected to it. During World War ll a prison riot broke out. Afterwards, 14 men were hanged as punishment. 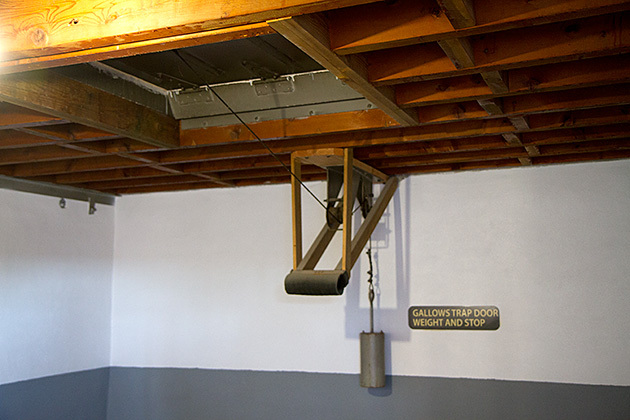 The gallows didn’t have enough space so an elevator shaft in the prison administration building was also used. Since, military police who patrol this area have heard screaming coming from this shaft when no on is close by. An eerie story is told about one of the old watchtowers. Tower 8 was closed and never used again after a soldier killed himself with a shotgun there. Several witnesses have seen an apparition in this tower. One sighting involves a soldier going through basic training in the late 1990s. He was assigned the swing shift in Tower 10. He saw a person moving about in Tower 8. Knowing no one was supposed to be in there he felt some one was playing a prank. He called his command and stated, “Knock it off.” He was told the tower was abandoned and locked. Thinking his mind was playing tricks he eliminated several possibilities—it wasn’t a tree limb or a trick of the light—no it was definitely a person. He called control again. This time the radio was handed to the commander of the new prison who happened to be there. The MP told him “I see someone in there. Who’s in Tower 8?” The commander told him firmly no one was there. The soldier continued to see the figure moving about so he thought maybe it was Tower 7 playing the prank but he received a negative response. At the end of his shift his relief told him the story about the guard’s suicide. This soldier told him in stride that what he saw was a ghost. The most famous ghost seen at Fort Leavenworth is Catherine Sutler. I tell this story here. Catherine’s ghost is seen at night wandering around with a lantern at the fort’s cemetery and on the adjacent golf course. This story over the years has been embellished so much it has become legendary. Tragically, it is believed Catherine is still looking for her two lost children. People are told if they encounter her ghost that they should tell her that her children are safe and she can rest. The Rookery is the oldest occupied home on the base. Since the early 1900s it has been used as a family residence. One ghost seen at this location is more aggressive. The story goes a lady was at the post while her husband was out on a cavalry patrol. Indians attacked the fort and this wife was tortured and killed. She is known as the Lady in White since she wears a white dress. She has grey tangled hair. Witnesses who have encountered her state she screamed and then ran after them. It was a picture of Major Ogden. 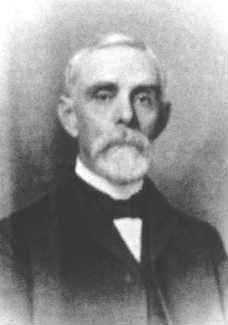 He oversaw the construction of Fort Riley in 1853. While quartermaster he lived at the Rookery. He died during a cholera outbreak. Mr. Munoz’s wife had seen his apparition. She stated he wore a western-style shirt and vest and rough cloth pants. Munoz and his children later saw this apparition as well. While living at the Rookery the Munoz family also heard constant noises. Mr. Munoz was able to debunk some sounds others remained a mystery. By the time the family moved out he was convinced the building was haunted. 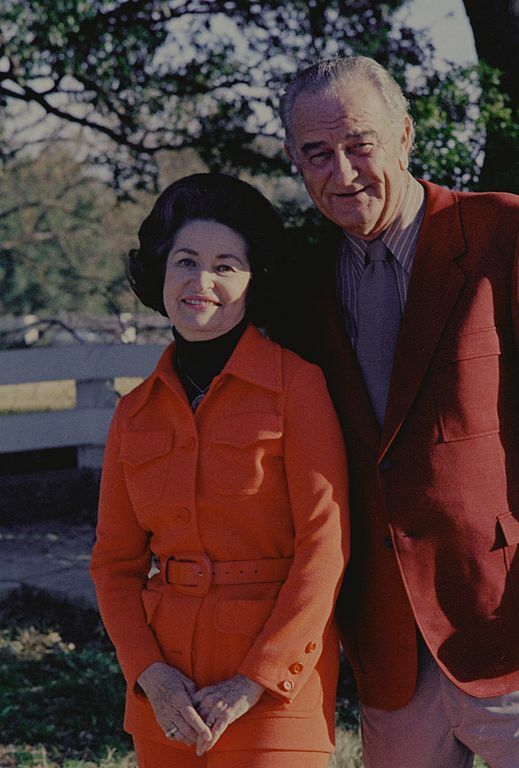 Lady Bird Johnson was married to Lyndon Baines Johnson who became president after John F. Kennedy was assassinated in 1963. The Johnson’s were from Texas. When she was first lady, Mrs. Johnson was known for her desire to beautify America. But her interest went beyond this. She was a strong advocate for conservation and historic preservation. 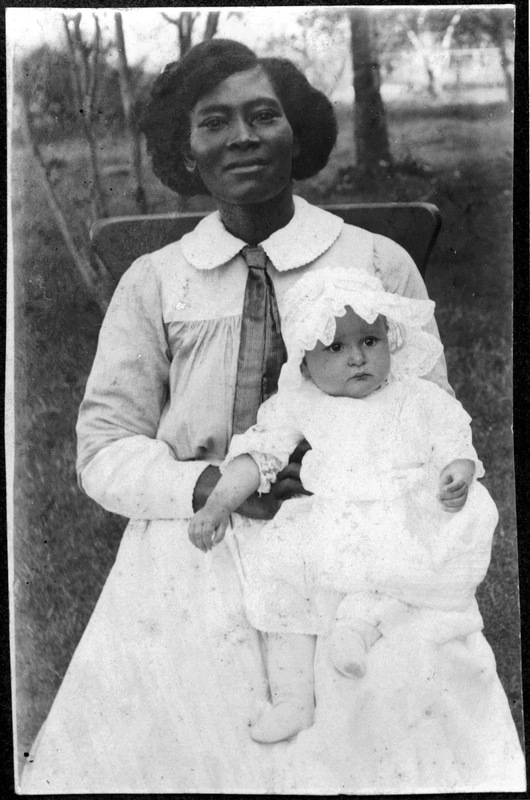 Her father, Thomas Jefferson Taylor and her mother, Minnie Patillo Taylor lived in the small town of Karnack located in east Texas. Mr. Taylor was a landowner and local merchant. He bought a stately mansion is known as The Brick House in 1902. 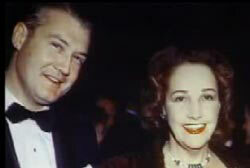 Lady Bird was Taylor’s third child and was born in the home. 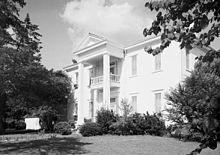 Milt Andrews a Confederate Colonel, some sources state he was a Captain, had the mansion built in 1843. It was constructed of bricks made by slave hands. The Brick House is a classic example of antebellum architecture. It has impressive brick columns and three brick fireplaces. Its balcony is 30 feet high. The mansion has four sets of double doors that lead to the home’s central hall. Access to the second story is via an exterior staircase only. By the time the Taylors bought the home, it was in sad need of repair. They undertook extensive renovations. The eccentric owner they bought the mansion from had left one room filled with hickory nuts. 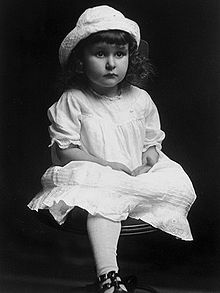 Lady Bird at age 3. Lady Bird’s mother died when she was four years old. Minnie tripped over the family’s collie in 1912 as she walked down the stairs. She was pregnant at the time, and she miscarried. A few days later she died of septicemia. Lady Bird was christened, Claudia Alta but her nurse, Alice Tittle stating the little girl was “as pretty as a lady bird” named her Lady Bird. This nickname stuck with her the rest of her life. Lady Bird graduated from The University of Texas with a B.A. in Journalism. After her father died a Taylor relative donated 385 acres of the family estate in 1934. Today this section is a part of the Caddo Lake State Park. The Taylor family still owns The Brick House and they keep it in pristine condition. Lady Bird’s former home is not only beautiful, but it is also haunted. A well-known legend states that a young girl was struck by lightning in the home and her ghost has haunted the bedroom she stayed in ever since. 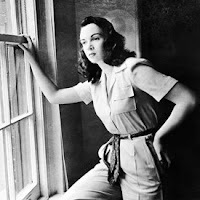 This young lady was the original owner, Milt Andrew’s daughter, Eunice. She went by the name Oonie. One day as she was sitting in her bedroom rocking chair during a storm in the 1860s a bolt of lightning rushed down the chimney and struck her—she was burned and died. Since her death, people say her spirit has never left this room. When the Taylors bought The Brick House, her ghost came with it. Lady Bird stated she never saw or heard this ghost but that every time she was in Oogie's former bedroom as a little girl she became nervous. She felt something unseen was in the room with her. Alice Tittle holding Lady Bird. Lady Bird said the servants often told her they saw Miss Oonie. They described this ghost was surrounded in light and was slight of build. She wore a white dress, and her hair stood on end—the result of being hit by lightning. In August of 1966, the newspaper article mentions Lady Bird’s brother Tony Taylor and this haunting. He states various family members did hear a woman sobbing in the mansion at night. They also heard creepy sounds of something moving about. This historic home in Savannah, Georgia was designed by DeWitt Bruyn and built at a cost of $25,000 for the William Kehoe family. William Kehoe immigrated to America in 1842 at the age of 10 with his family from Ireland. 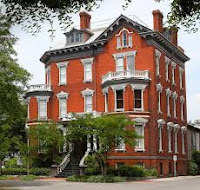 The Kehoe family settled in the Old Fort District of Savannah—an area with many Irish families. William was apprenticed to an iron foundry and worked his way up to foreman. His hard work paid off, for he eventually bought the foundry. He became one of Savannah’s leading businessmen. After being married for several years he and his wife, Anne and their 10 children moved into their new Queen Anne style mansion in 1892. His heirs sold the home in 1930. After this it was used as a funeral home for 47 years (1930-1977). Then the New York Jests football star, Joe Namath owned the home until 1990. 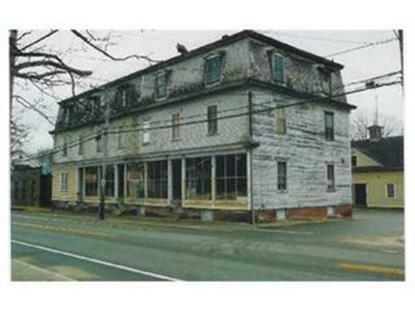 It then underwent renovations and opened as a Bed and Breakfast. 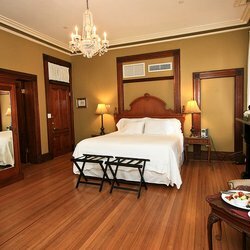 Today it is run by HLC Hotels and is run as a Boutique inn. It has a 4-star rating. One constant in the home during these years has been the ongoing presence of several deceased Kehoe family members. Four members of the 1st generation of the Kehoe Family who died in the house have been seen in the home. Mrs. Anne Kehoe is known as the Lady in White. 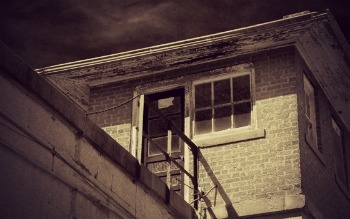 Toward the end of her life she suffered crippling Arthritis and was confined to the second floor. It is here where her ghost is seen the most. She is spotted writing at a desk and she often abruptly awakens guests with her presence. She is seen sitting on the edge of their beds. At other times she is seen on the 3rd floor. This is where she would visit her grandchildren. William Kehoe’s ghost is seen throughout the home. On one occasion he opened all the locked doors on the ground floor at the same time. It is sometimes reported that the couple had twin sons that died in the house. But actually it was two young daughters, Anne and Mary who died of Roseola within 3 days of each other. The girls are mistaken for twins because they were close in age. Their distinctive features identify them. They both have blonde hair and blue eyes. 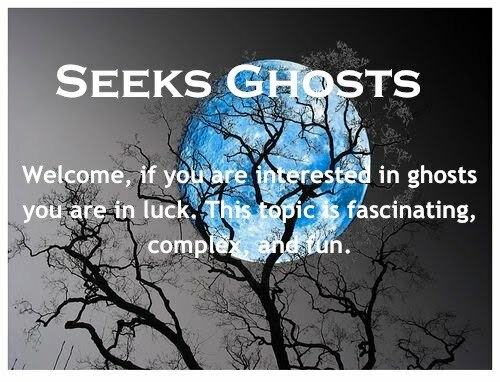 They are playful spirits who are often heard running on the top floors. They giggle and whisper into each other’s ears. They are seen standing at the foot of guest beds. One female guest reported feeling her face stroked. The girls also like to turn doorknobs. Today it is said rooms 201 and 203 are the most active. Besides the ghosts seen, lights are turned on and off when these rooms are empty. The doorbell in the home also chimes when no one is outside. People often experience what some call Memory Ghosts. These ghosts are not ghosts in the true sense of the word rather they are imprints on the environment. While a person is living, places and objects that hold meaning for them can absorb their energy. After they pass this energy can linger. A good example of this happened to a friend of mine years ago. Her grandmother died and she inherited the family home. Once she moved in she became convinced her grandmother haunted the house. She often would catch a glimpse of her grandmother in the kitchen standing at the stove or she would see her sitting in her favorite rocker in the living room. After doing some research she decided she needed to help her grandmother move on. She made several attempts to talk to her deceased relative but she never got a response or sign that her grandmother heard her. She finally gave up. Several years passed and she realized she no longer saw her grandmother. Years later, while reading a book about energy imprints she realized this is what might have happened in her home. Was what she experienced just some of her grandmother’s lingering energy? Could the home have picked up and stored some of her grandmother’s emotional residue? Her grandmother loved to cook for the family. This was how she expressed her love. So a great deal of her energy was invested in the kitchen especially around the stove. 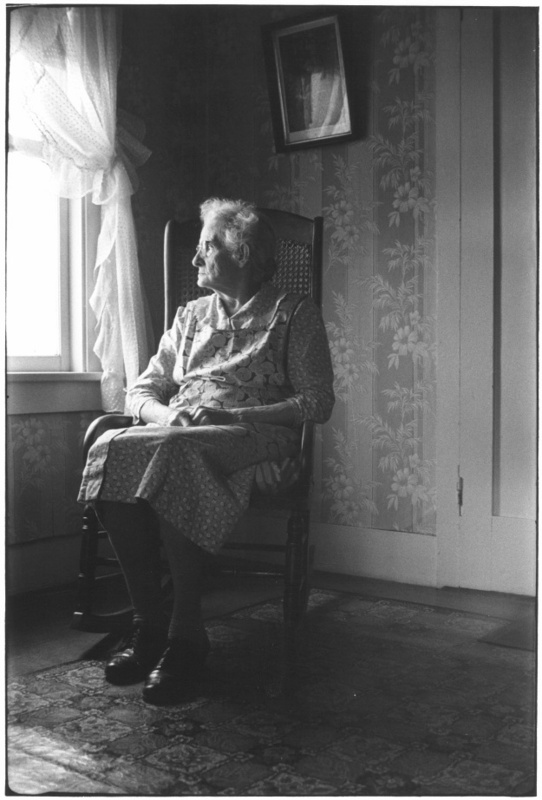 The rocking chair in the living room was her grandmother’s favorite spot to rest and think. So this spot as well could have picked up some of her relatives energy. So do we leave echoes of ourselves in places and on objects that we have strong emotional ties to? Many believe this is true. 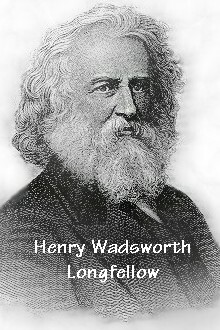 The following poem written by Henry Wadsworth Longfellow in the 1800s reflects this concept of memory ghosts. All that has been visible and clear. We have no title deed to house or lands . 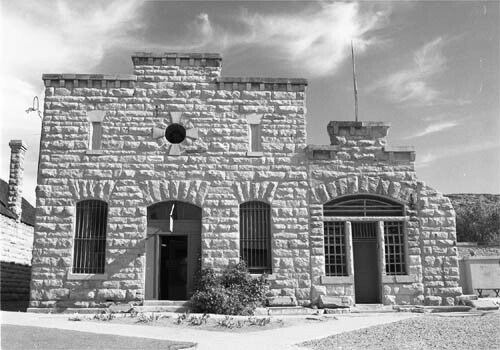 . .
A gruesome murder in 1956 resulted in the first person being hanged at the Old Idaho Penitentiary. Raymond Allen Snowden was nicknamed an American version of Jack the Ripper when he brutally murdered a woman in Garden City. He stabbed Cora Dean, a local women and mother of two, 35 times. During his trial Snowden claimed the two got into an argument after a night of drinking. He said he backhanded Dean and then she kicked him. At this point he lost it. He took his one and a quarter inch pocketknife and slashed her throat first then thrust his blade into the back of her skull, severing her spinal cord. He stashed his knife in front of a cigar store in Boise and then entered the building to use the restroom. Suspicious employees called the police. His knife was found and Snowden was arrested. Snowden later bragged he had killed two other women. But the murder of Cora Dean was enough. He was convicted of murder and sentenced to hang. 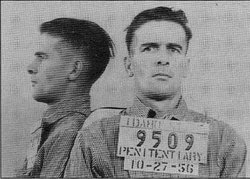 In October of 1957, witnesses, including family members of the victim gathered on the second floor of the penitentiary to watch Snowden's execution. There was a glass window between them and where Snowden stood on the trapdoors that would end his life. When an officer released these heavy doors with a lever their weight smashed into the window shattering it. Snowden dropped but the rope did not snap his neck. Instead, he hung twisting and turning for over 15 minutes gasping for air. Witnesses later stated his gasps and grunts before he suffocated were nightmarish in tone. The old Idaho penitentiary has been closed for years. Today it is on the National Register of Historic Places and is run as a museum. Workers and visitors both have heard sounds that they felt must be Snowden. All state as they stood at the bottom of the gallows they heard someone struggling for breath. These sounds can be heard both day and night. Witnesses have also come forward to report feeling and seeing a dark entity in the area near the solitary confinement cell—nicknamed by the inmates “Siberia.” This entity has also been seen near the gallows. One family has experienced a similar tragedy for four generations. Their family story is sad but also very creepy. 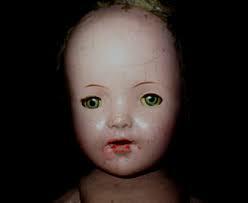 For over a century a doll, named Joliet has been passed from mother to daughter in this family. They believe this doll is both cursed and haunted. So why do they keep Joliet? Their reason is simple they feel their son’s spirits are attached to this doll. The present owner of the doll, a woman named Anna has experienced the same tragedy that her mother, grandmother and great grandmother all experienced. Each woman had two children—one daughter, one son. Each son died exactly 3 days after being born. Each son appeared to be healthy after birth so their deaths are mysterious. The family believes the doll cursed them. Joliet was given to Anna’s great grandmother as a gift at the time she became pregnant. But this gift was not given with love but instead out of jealousy. The great grandmother’s husband scorned this woman so the family believes Joliet is cursed with a hateful bitterness that brings them bad luck. So again, why keep a doll that they believe brings death? Each of the four mothers has heard Joliet cry. These cries sound like their son’s cries. For this doll cries with four distinct sounds. Anna’s great grandmother identified her own son’s cry and then her daughter identified her own son’s cry as well as her mother’s son cry. In the present generation Anna hears four distinct cries, which she believes are the four family sons that have died. Sometimes these cries are heard together, at other times separately. All four mothers have had trouble convincing others that Joliet holds at least part of their son’s spirits for they are the only ones who have ever heard these cries. Even creepier--these cries have acted as a reminder to these women of their tragic losses. Anna wonders if her daughter will hear 5 cries. Unfathomable. But they have kept the doll for they believe family spirits haunt it. 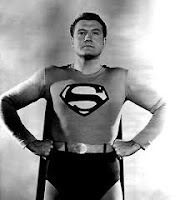 In the 1950s the actor, George Reeves was best known for his portrayal of Superman in the television series, Adventures of Superman. Reeves died at the age of 45, from a gunshot wound to the head. 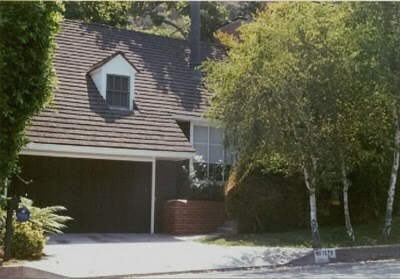 He was found dead in his bedroom at 1:59 a.m. on June 16, 1959 in his modest home in Los Angeles’ Benedict Canyon. It was just 3 days prior to his marriage to a young socialite. The cops ruled his death a suicide but others felt it was an accident or even murder. Reeves was a personable and charming actor that was liked by most people who knew him. But it appears he had a darker side. Those who support the theory he committed suicide point to the fact that by the late 1950s Reeves was having trouble finding work as an actor after his popular series ended. It appeared he was to be forever stereotyped as the caped crusader. But this belief left out two other important aspects in Reeves life at the time of his death. He had just begun a career as a Hollywood television director and he had recently put his personal life in turmoil when he left his lover of several years—a woman 8 years his senior. 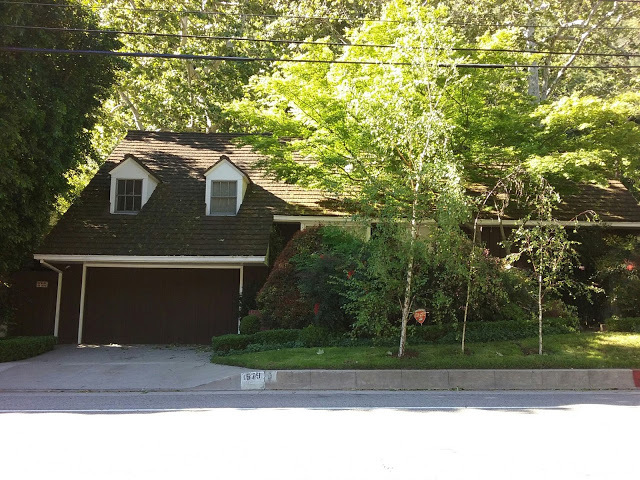 His mistress, Toni Mannix had bought the Benedict Canyon home for him. She became extremely jealous when Reeves dumped her for a younger woman, Lenore Lemmon who he intended to marry. Mannix, a former showgirl, was married to Eddie Mannix, a former MGM vice president who was in good with the cops and had connections to organized crime. Hence, the speculations that Reeves’s death may have been a murder that the cops conveniently covered up. Some believe Mannix or even Lemmon murdered Reeves. To add to the confusion, Reeves state of mind at the time of his death was muddled. Lemmon told the cops one story—while other’s who attended a party she threw at the home—the night Reeves died-- conflicted with her account of what happened. George Reeves’s death today still remains an unsolved mystery. But what happened after his death has been well documented over the years. For over a decade, Toni Mannix had trouble selling the home on Benedict Drive. It quickly gained a reputation of being haunted by George Reeves. People who believe the murder theory point to this reason as to why his spirit lingers. One young couple that rented the home were entertaining guests one evening in the living room when all of them heard noises coming from upstairs. They followed these sounds to Reeve’s ex-bedroom, where his body was found. The room that they always kept neat was in complete disarray. The bed linens had been torn off the bed and clothes were strewn across the floor. When this group returned to the living room they discovered that all the drinks that they had left on the coffee table had been moved to the kitchen. Later this couple found their German shepherd barking furiously at the door to this bedroom. They watched as he cowered and slinked away with his tail between his legs. When they opened the door they found the bed had been moved across the room. Early one summer morning, around 3:00 a.m., they both saw Reeves ghost in his ex-bedroom. He was wearing his Superman costume. They moved out of the home that same morning. After this, other renters claimed to hear a single gunshot in the middle of the night as well as smelling gunpowder in the Reeve’s bedroom. The young couple was not the only witnesses to encounter Reeve’s apparition. A film crew and actors making a documentary about Reeves in the home also saw him standing in his full Superman attire in his old bedroom. 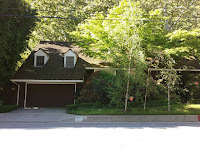 At one point two sheriffs were called out to watch the Benedict Canyon home because there were so many complaints from neighbors. These reports included people hearing screaming, gunshots and seeing the lights go on and off in the home all in the middle of the night. The home was empty at the time. These neighbors also reported seeing Reeves apparition standing on his front lawn. Here is a brief video, hosted by Tony Curtis about George Reeve’s death and haunting.